(EE ’48), Hackensack, N.J., wrote the book From Generation to Generation, describing his experiences in the 1940s as an Illinois Tech student. (CHEM ’50), South Bend, Ind., was named a Lifetime Achiever by Marquis Who’s Who. (ARCH ’61, M.S. CRP ’62), Wheaton, Ill., had his article “Sustainability for Plan Commissioners” appear in the April 2017 issue of Planning, the magazine of the American Planning Association. In addition, his article “The Snow, Rain, Street Width Connection” was published in the spring 2017 newsletter of the APA’s Transportation Planning Division. The fifth manuscript edition of Pointner’s Readings in Urban Planning and Design is now available with 60 papers and more than 250 illustrations. Each of these papers provides further detail on his book Planning Connections: Human, Natural and Man Made. (PHYS ’61), Trumbull, Conn., received a Ph.D. in experimental physics from the University of Chicago, worked at Zenith Laboratories, and then made a career change into cancer research, becoming a professor of biology at the University of Colorado at Colorado Springs. He is now on the staff of Harvard T. H. Chan School of Public Health and an honorary faculty member at University College London. For the past 20 years, Retsky has been studying a bimodal relapse pattern in breast cancer patients based on computer simulation and has edited a book on the research, Perioperative Inflammation as Triggering Origin of Metastasis Development. (ARCH ’63, M.S. CRP ’67), Chicago, opened a one-man show of close-up prints of neighborhoods in Chicago and Paris, in October 2017 at Chicago’s August House Studio. His work at Illinois Tech with Ludwig Mies van der Rohe, Alfred Caldwell, and others became the basis of a career demonstrating architecture within an urban context. 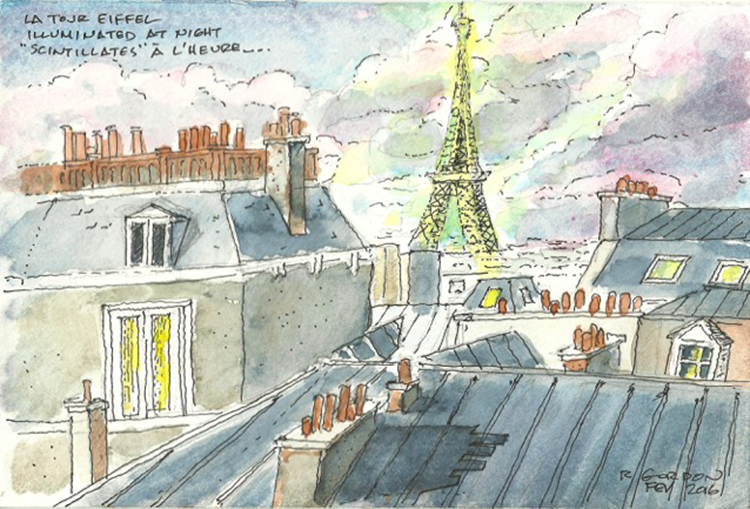 Gordon has contributed his papers including a substantial collection of sketches to Illinois Tech’s University Archives and Special Collections, where they are available to researchers. (PHYS ’63), Santa Fe, N.M., is chairman of SYNRGO, a post-real estate closing and document-retrieval company. 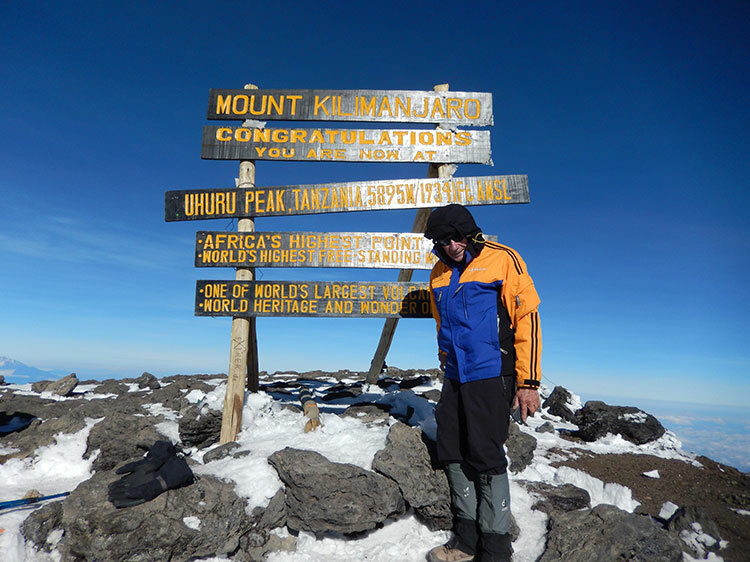 He recently climbed Tanzania’s Mount Kilimanjaro followed by a safari through most of the parks in the country. (ME ’63, M.S. GE ’66), Wayzata, Minn., received the American Society of Mechanical Engineers 2017 Edwin F. Church Medal recognizing Kulacki’s efforts to promote the value of mechanical engineering education. The honor noted that he pioneered the introduction of computer-aided engineering into the undergraduate curricula. (PHYS ’64), Chicago, has been fascinated by sports cars since viewing an ad in Tech News for a road rally in 1968. He has been running them ever since and recently purchased a Mustang. Coleman and his wife have been nationally ranked in the top 10 several times by the Sports Car Club of America. (EE ’67), Albuquerque, N.M., retired as a principal staff engineer at CTS Electronic Components Corporation after a 46-year career. His career contributions include developing wire saw technology (Motorola Internally Developed Saw) used to make RF crystals for pagers and radios and the technology for the radio-frequency testing of high-power ceramic filter products and the servoelectronics updating of the MID saws still in use today. Mech continues with his electronics hobbies and the restoration of his 1972 Dodge Challenger. (CHEM ’69, M.S. ’81), Fredericksburg, Va., is a Green Party candidate and participated in the 88th District Debate hosted by the University of Mary Washington in September 2017. He is a member of the adjunct faculty at Germanna Community College. (CE ’69, M.S. ’71), Buffalo Grove, Ill., has been a member of the Structural Engineers Association of Illinois for more than 40 years and achieved Life Membership status. He is a fellow of the American Society of Civil Engineers and the American Concrete Institute, a member of the American Engineering Association, and served as secretary at the Chicago Committee on High Rise Buildings. (MAE ’71), West Bloomfield Township, Mich., and his wife, Diana, welcomed their second grandson on August 8, 2017. (BIOL ’73, M.S. 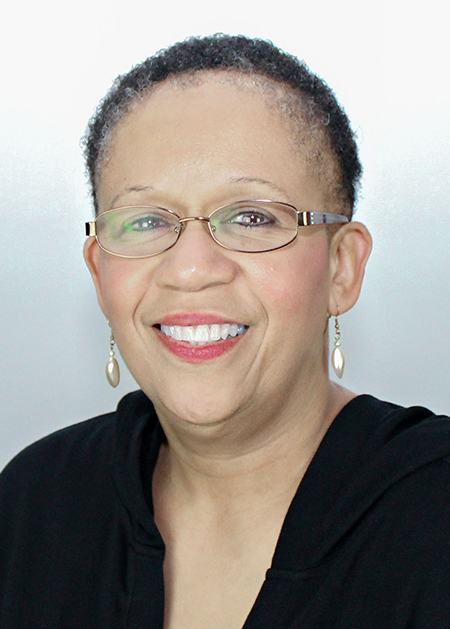 ENVE ’74), Philadelphia, received the 2017 Athalie Richardson Irvine Clarke Prize from the National Water Research Institute for pioneering and applying methods to assess and minimize health risks caused by exposure to disease-causing microorganisms in water and wastewater. (CE ’77), Latonia, Ky., retired from COL Bigelow after 30 years of service. (Ph.D. PSYC ’80), Barrington, Ill., has delivered keynote speeches and seminars in 48 states, five Canadian provinces, the Bahamas, and Switzerland. His presentations are based on business books he wrote including Hire the Best… and Avoid the Rest. (M.S. PSYC ’81, Ph.D. ’83), Jersey City, N.J., is co-head of the Women in Technology network and championed her employer, Goldman Sachs, to partner with the group Girls Who Code. With her WIT colleagues, she created an alumni program for girls who attend her company’s summer mentorship programs to have a supportive community of friends and role models and opportunities to learn about technical topics and careers. (CE ’81), Wichita, Kan., was elected a fellow of the Institute of Industrial and Systems Engineers for his many years of service and innovations in aircraft manufacturing. An enterprise architect and principal investigator for digital factory research at Spirit AeroSystems, Huffman was elected a technical fellow there and is a past associate technical fellow of The Boeing Company. He also serves as an adjunct professor of industrial, systems, and manufacturing engineering at Wichita State University. (MET ’81), Temecula, Calif., retired from Abbott Laboratories after 31 years of service. He is currently writing a children’s mathematics book. (M.S. PSYC ’81, Ph.D. ’84), Chicago, chief of psychology at the Iowa City VA Health Care System, has been with the veteran’s administration for 29 years and was chief of psychology at the Jesse Brown VA in Chicago for 16 years. Zerwic is one of only a few psychologists to be named chief of two different VA medical centers. (PHYS ’82), Tallahassee, Fla., a faculty member of the Department of Physics at Florida State University, has been elected a 2017 fellow of the American Physical Society and was honored with the society’s 2017 George B. Pegram Award, which honors excellence in physics education in the southeastern region of the country. (ME ’83, M.S. ’84), Washington, D.C., professor and chair of the Department of Mechanical and Aerospace Engineering at The George Washington University, has been honored by the American Society of Mechanical Engineers with the 2017 Fluids Engineering Award, in recognition for contributions to research and education in fluids engineering, particularly turbulent flow physics, gas turbine, and biomedical applications. 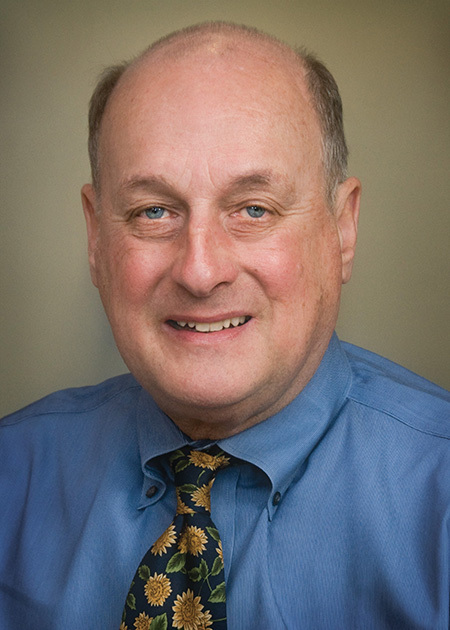 Plesniak is also cited for outstanding service to ASME, which elected him a fellow in 2006. Director of GWU’s Center for Biomimetics and Bioinspired Engineering, Plesniak has authored more than 250 refereed archival publications, conference papers, and presentations. (CE ’83), Murrieta, Calif., founder of Illinois Tech’s co-op program, is vice president and global dams practice leader for WaterPower & Dams with Stantec. He has worked in 20 different countries on more than 200 dams. Last year Rogers was the lead design engineer for the Oroville Dam Spillway reconstruction. (ME ’83), Newport, N.H., is senior vice president of operations at Sturm, Ruger & Company, where he is responsible for manufacturing, engineering, and product development activities. (LAW ’84), Park Ridge, Ill., is assistant general counsel, associate vice president, and global head of employment law at Infosys. (CHE ’84), San Francisco, worldwide managing director and board member at Bain & Company, has led the company to a strong business momentum and helped it cap a six-year period of growth. Maceda has held other positions with Bain, including heading the Full Potential Transformation Practice and serving as the chairman of the Asia-Pacific region. (LAW ’88), Evanston, Ill., is chief executive officer of Cures Within Reach, a philanthropic leader in drug, device, and nutraceutical repurposing research. (BA ’90), Springfield, Va., is the first Illinois Tech alumnus to become a brigadier general in the United States Marine Corps. (EE ’90), Wheaton, Ill., is senior regional director of the board of the Illinois Adult and Continuing Educators Association. She also mentors Austin College & Career Academy students in Manufacturing Connect, a signature program of the nonprofit organization Manufacturing Renaissance. (ME ’91), Orland Park, Ill., and his wife, Michelle, celebrated their 25th wedding anniversary in January. They met at an Alpha Epsilon Pi event at Illinois Tech. (LAW ’92), Stratham, N.H., is the 108th associate justice on the New Hampshire Supreme Court. Sworn in by Governor Christopher Sununu last August, Justice Hantz Marconi is only the third woman to sit on the state’s highest court. (M.B.A. ’93), Chicago, has served as an executive in residence at Brennan School of Business, Dominican University, since 2016. (LAW ’93), Deerfield, Ill., has been named regional president for the Midwest Region of Wells Fargo Advisors, leading a team that includes 714 financial advisors at 63 branches located in northern Illinois, Michigan, and Wisconsin. (M.S. EE ’93, M.A.S. 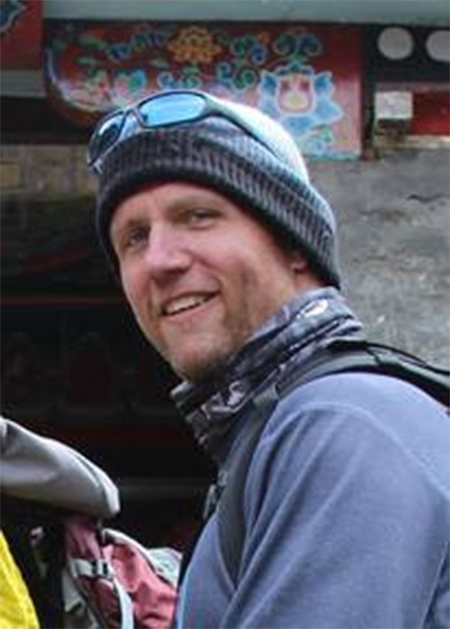 ECE ’08), Woodstock, Ill., is a Distinguished Member of the technical staff at Motorola Solutions and serves as the chief infrastructure architect for professional and commercial radio systems. Over his career, Wiatrowski, who holds 190 patents in 14 countries, has received numerous honors from the company, including Motorola Solutions Business Patent of the Year, Motorola Patent of the Year awards, and election as a Motorola Dan Noble Fellow. (ME ’96), Oak Brook, Ill., is a member of the board of directors of Health Care Institute Chicago. He has more than 25 years of design, engineering, project management, technical sales, and business development experience, with additional background in mechanical engineering and project development across a range of industries and applications. (LAW ’96), Hanover, N.H., was voted Most Powerful Person in Telecom for 2017 by the readers of FierceWireless. 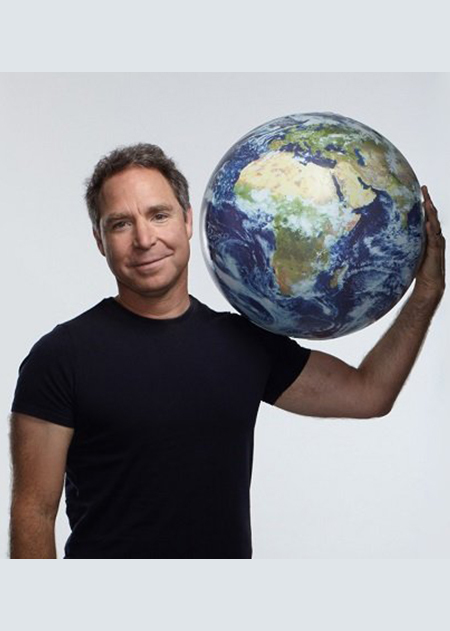 Founder of the company OneWeb, Wyler is working to provide global, satellite-powered high-speed Internet services. (LAW ’97), Los Angeles, is co-chief executive officer of Bankruptcy Management Solutions. (CS, M.S. ’98), Rowlett, Texas, is a member of the board of directors of TriaSys Technologies, a leading provider of innovative signal-processing solutions. (M.A.S. CHE ’98, Ph.D. ’02), Naperville, Ill., has been elected a fellow of the American Institute of Chemical Engineers. He is a lead engineer at Honeywell UOP and is responsible for computational fluid dynamics modeling and analysis of refinery units. His AIChE activities have included leadership roles in the Chicago section, the Particle Technology Forum, the Chemical Engineering Technology Operating Council, and the Societal Impact Operating Council. (M.S. TCID ’98), Oak Park, Ill., chief executive officer of the Residential Real Estate Council, has been elected to its board of directors. (LAW ’99), Chicago, is a partner in Rockit Ranch Productions, which is opening its sushi restaurant Sunda in Nashville. (M.S. FIN ’00), Chicago, was featured in the online publication Voyage Chicago. (CPE ’00), Indianapolis, founded Illuminate Health, a digital health startup, building technology tools to enable safe and accurate medication administration by consumers. He has two young boys, Sanmay and Varyan. Goyal’s wife, Sumedha, is a professor of economics at Indiana University. (LAW ’00), Chicago, wrote the book Dean Lazar’s Golden Guide: Pragmatic Career Advice for Smart Young People, which includes a set of action steps to help students and young professionals develop the habits of mind and behavior that lead to career success. An English/Mandarin version of the book will also be available. (CHE ’00, LAW ’06), Moraga, Calif., is a partner at McDermott Will & Emery. (ME ’00), Los Angeles, is chair of the Department of Mechanical Engineering at Loyola Marymount University and is in his 14th year as a faculty member there. Claudette Soto (ARCH ’02, M.A.S. STE ’05) and Rene Barraza (ARCH ’01), Evergreen Park, Ill., welcomed their third son, Omi Ender Barraza, last November. 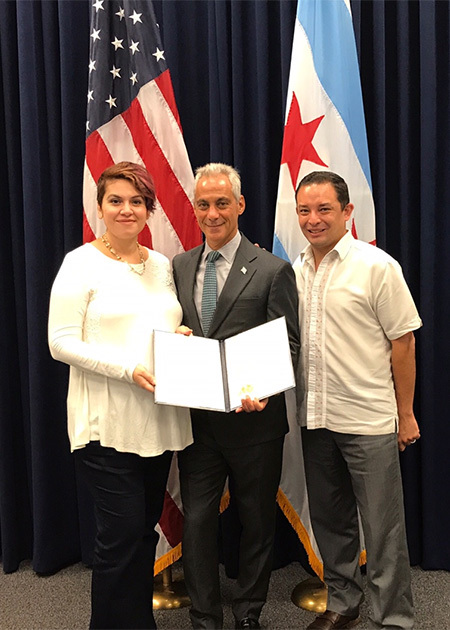 Soto, founder of the Illinois Tech summer STEM program VAMOS, was honored last September through a Chicago City Council resolution submitted by Alderman Raymond Lopez of the 15th Ward. The program is run by current Illinois Tech students who volunteer their time to teach 15 middle-school students from the Gage Park, Back of the Yards, and Brighton Park neighborhoods about STEM. (LAW ’02), Basel, Switzerland, is chief operating officer of the International Association of Insurance Supervisors. He leads and manages the internal operations of the secretariat, including finance, human resources, administrative support, communications, legal, and risk functions. (M.S. 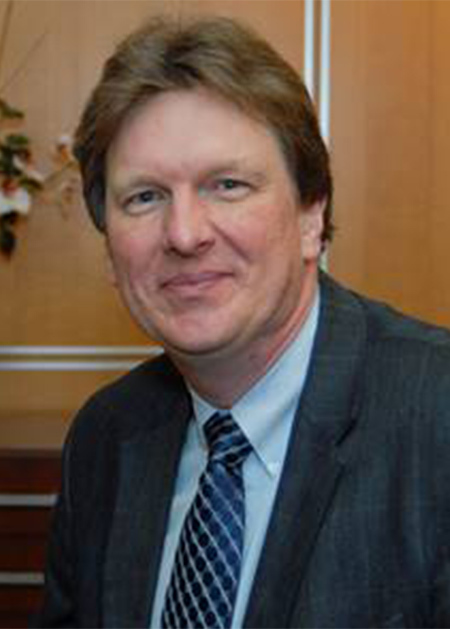 MCOM ’03), Chicago, president of Northland Laboratories, also became chief marketing and sales officer for Matrix Sciences after the company acquired Northland. 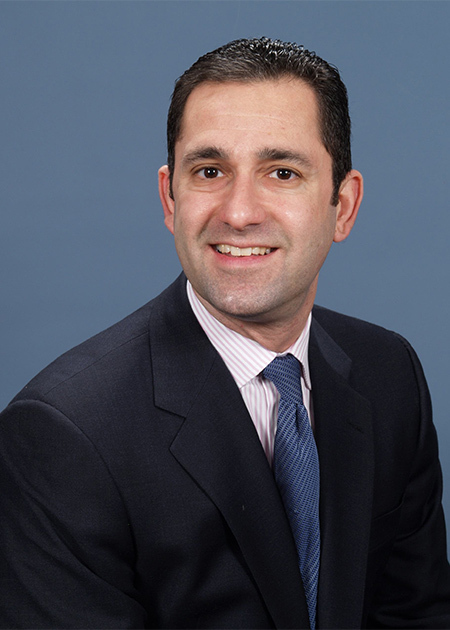 (CPE ’05, LAW ’12), Chicago, is associate counsel at Neal Gerber Eisenberg. (M.A.R. ARCH ’06), Chicago, creator of the Off-White fashion brand, presented the lecture “Program Organization, Sequencing Experiences” at the Harvard University Graduate School of Design last October. Abloh was introduced by design critic Oana Stanescu, with whom he has worked on various projects, including Kanye West’s The Yeezus Tour set design and Off-White’s Hong Kong flagship store. Richard D. Thompson II (EE ’06, CPE ’06, M.S. CPE ’08) and Alayna George Thompson (MBB ’08), Deerfield, Ill., welcomed their first child, Richard, last summer. (LAW ’06), San Francisco, is senior counsel for the biotechnology pharmaceutical company Amgen. He practices intellectual property law including patent prosecution. Zinkl continues his Chicago ties by serving on the board of the Lakeview Orchestra, and in his new home city, he has joined the San Francisco Leadership Council for Lambda Legal. He and his husband reside in the Bernal Heights neighborhood with their two cats. (LAW ’07), Chicago, was named one of Chicago’s Most Influential Women Lawyers by Crain’s Custom Media. (LAW ’08), Chicago, is a patent attorney for Medline Industries. (Ph.D. MAE ’09), Tucson, Ariz., assistant professor of aerospace and mechanical engineering at the University of Arizona, is investigating how aviation standards can be applied to the development of robotic cars and is working with researchers at Illinois Tech to find ways to make robotic cars safe and reliable. (LAW ’09), Villa Park, Ill., launched the law firm Incubate IP, which provides intellectual property counseling and services specifically for startup companies and IP portfolio management services for more established companies. (CPE ’09), Seattle, helped to launch the iOS app for Microsoft Sway. (M.A.S. STE ’09), Elk Grove Village, Ill., is assistant vice president and senior professional partner at TranSystems. 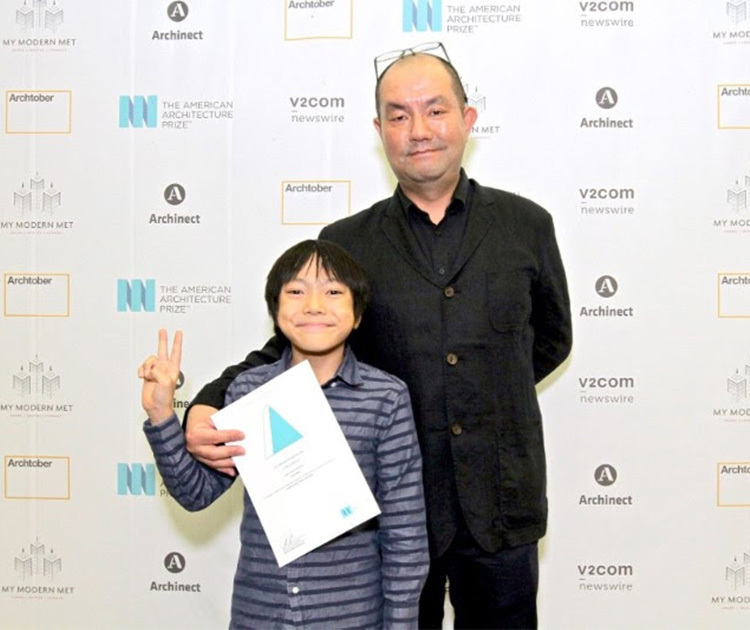 (BME ’10), Gladstone, N.J., received a Medical Design Excellence Award, a Core77 Design Awards honorable mention, and an International Design Excellence Award Gold for his work on the VECTRA WB360, a 3-D imaging system for pigmented lesions and distributed diseases. (BA ’10), Chicago, oversaw a team to expand the nonprofit organization Family Bridges and will be managing the new branch in Phoenix. (M.A.S. ITO ’10), Des Plaines, Ill., was named a 2017 Outstanding Young Manufacturing Engineer by the Society of Manufacturing Engineers. He is a research engineer at ArcelorMittal, where he established a state-of-the-art welding research lab. (EMGT ’14), Chicago, is a marketing and outreach coordinator for Gateway House, an Indian foreign policy think tank modeled after the Council on Foreign Relations. Gandhi’s new role was created to strategically use communications in external affairs, business development, and fundraising efforts. (M.A.R. ARC2 ’14), Midland, Mich., received his State of Michigan Architectural License. He has worked in architecture at Three Rivers Corporation for 19 years. (M.S. CS ’15), Redmond, Wash., is a member of the Microsoft Windows CORTANA team. Anders Bybjerg (BA ’17, M.S. FIN ’17) and Sarah Maciorowski (AMAT ’17), Chicago, took a two-month cross-country road trip after graduation. Along with their Australian shepherd dog, Smoky, they visited a number of U.S. National Park Service sites, before settling down in Minneapolis. Byberg is a photographer in the Twin Cities, while Maciorowski is a catastrophe modeler in reinsurance brokerage. Naperville, Ill., chief executive officer of Dealer Inspire, represented the company at the Automotive Analytics and Attribution Summit last November. Durham, N.C., adjunct assistant professor of electrical and computer engineering at Duke University, developed a study for a water-cloaking device that eliminates an object’s drag and wake. The study was published online in the journal Physical Review E (Volume 96, Issue 6, December 2017).